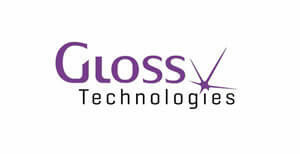 This is the area for Gloss Technologies. Below you find an overview of the appreciated products. Please move forward to get all information about performance, accessoires, calibration and…. Validation!! The new Dissolution Vessel Washer DVC-24 developed by Gloss Technologies is the ultimate solution to increase Productivity and Regulatory Compliance of any Dissolution Laboratory. It is offering an easy, fast, efficient and validated method for cleaning dissolution vessels for EVERY brand dissolution tester and most sizes of dissolution vessels. The instrument has been designed for economic use. If offer an fast and thorough cleaning for the most difficult and sticky products by using an unique technique. Up to 4 dissolution testers can be effectively cleaned in less than 10 minutes time. This dramatically increase your sample test throughput. This automated cleaning procedure working with steam and purified water is proven to be a robust, effective, consistent and reproducible cleaning method. It ensures there is NO significant carryover between tests!!. 99.8% cleaness is achieved in this way. A full documentation package is included for validation including validation tablets. The Performance Qualification Protocol supplied with the instrument provides a documented evidence that your equipment is homogenously cleaned within acceptable limits prior to use with the most worst case products possible. DVC-24 dissolution vessel washer includes three factory programmed cleaning methods which will fit major part of applications. Custom programs are possible. Additionally, Gloss Technologies has developed a Method Validation Program which let Engineers to customize your Dissolution Cleaning Procedure and reprogramming DVC-24 methods using your own difficult and sticky products. Reducing waste, energy and water consumption regarding 40 ml purified water is typically used for cleaning each dissolution vessel. Leaving no extra residues as soaps or organic solvents. Neutralizing solution can be added optionally for dissolution media waste pre-treatment. This is reducing recycling costs. Easy-Ease of Use. It’s small and compact size in addition with small weight makes the apparatus easy to move. Comfortable use through its touch-screen display and its silent operation. Versatile instrument that can be used with all 1 liter USP dissolution vessels, as well as for 2 liters and 500ml vessels, including plastic vessels and special dissolution vessels like rimless vessels. Fast cleaning operation, typically 20 seconds per vessel highly increasing laboratory dissolution testing capacity. Efficient and homogeneous vessel cleaning. Customized programs after User Method Cleaning Validation performance. Ecological cleaning procedure which minimizes residues, water and energy consumption. Cleaning Programs Three pre-defined, customized if required. Cleaning Time 20 seconds per vessel, depending on program chosen. Vessels USP 1 Liter, any manufacturer. Optional: 2 liters, 500 ml and plastic vessels, optional. Residues Treatment Neutralized at waste tank, before draining.